After salvaging a battling draw in Wellington, Sri Lanka will look to again bring their A-game against hosts New Zealand in the second and final Test in Christchurch. 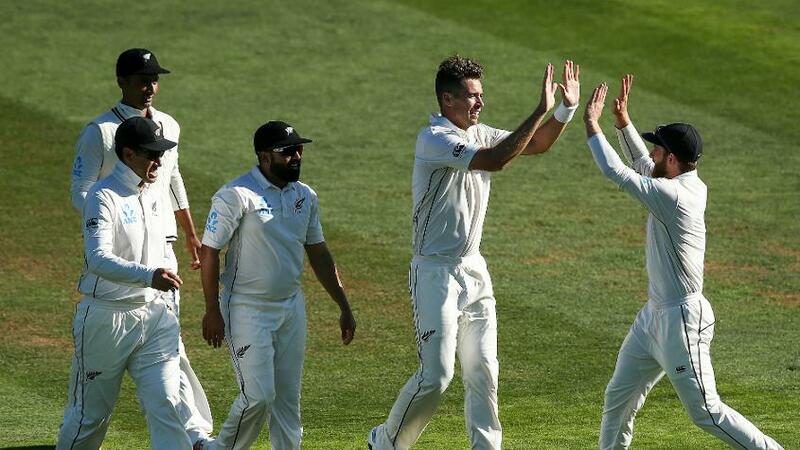 New Zealand were all over Sri Lanka in the first half of the first Test, bundling them for 282 in a little over a day, and then riding on Tom Latham's unbeaten 264 to post a mammoth 578 to set the stage for a dominating result. 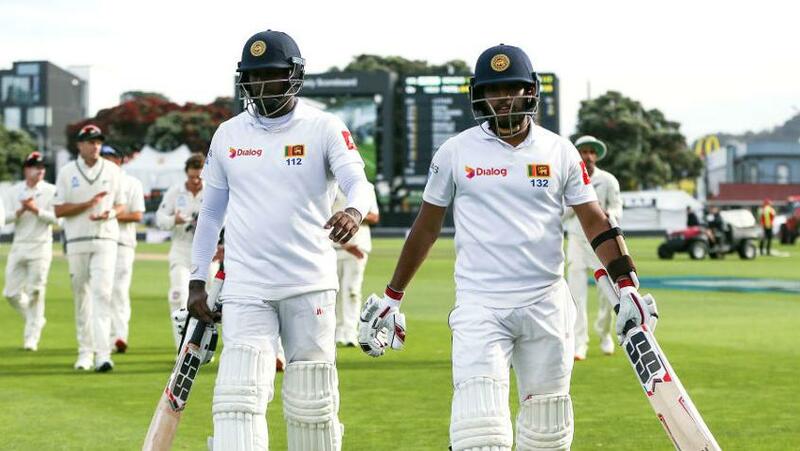 But Sri Lanka fought back through a brilliant, unbroken 274-run partnership between Kusal Mendis and Angelo Mathews, who batted all of the fourth day and were then aided by rain on the fifth to deny the Kiwis. While admittedly the Basin Reserve pitch flattened out considerably after the first day, it was still a remarkable effort by the visitors, given they were up against a team that had just historically beaten Pakistan 2-1 in UAE – their first overseas win against them since 1962. Sri Lanka still have plenty to worry about, most notably the fragility of the top order. In the first innings, they were reduced to 9/3 and scored only four more at the loss of as many wickets in the second dig. That is one area in which they will have to make amends. Unbeaten hundreds from Angelo Mathews and Kusal Mendis frustrated New Zealand and denied them a win in the first Test of their series against Sri Lanka. Yet, they will take heart from how they recovered from those situations. Mathews played the lead role: In the first innings, he scored 83 and stitched up a 133-run partnership with Dimuth Karunaratne, who made 79. Then he made 120* to steer Sri Lanka to safety, with Mendis remaining unbeaten on 141 when the match was brought to a premature close. Apart from them, Niroshan Dickwella too showed signs of form with a fantastic 80* to help somewhat beef up Sri Lanka's first-innings score. Sri Lanka will also have to worry about how they were unable to make regular inroads with the ball. In their defence, the pitch wasn't very responsive to their efforts, but that'll still be something they will have to consider. New Zealand will feel fairly pleased about how they went about it for the first three days. Tim Southee was on top his game taking six scalps in the first innings and adding a couple more to his tally in Sri Lanka's second dig. They will be slightly worried about how easily Sri Lanka dealt with Wagner's short balls, scoring 100 off him in just 23 overs in their second innings. Their batsmen look in prime form too, with Kane Williamson, Ross Taylor and Henry Nicholls getting fifties to complement Latham's effort. Even Jeet Raval and Colin de Grandhomme scored in the forties. They will hope to continue in similar fashion in the second game. Tim Southee (New Zealand): With just a hint of movement, the right-arm seamer was able to make regular strikes in Sri Lanka's first innings. Even in the second innings, he took a couple of wickets and kept things very tight even when Mathews and Mendis knuckled down for their heroic effort. If he gets that little bit of support in Hagley Oval, he could be the star for New Zealand. Angelo Mathews (Sri Lanka): The right-handed stalwart has been in seriously good form of late, and he extended that run in the first Test with two big scores. If New Zealand's bowlers start asking tough questions in the Boxing Day Test, Mathews will have to summon all his experience and show his other less experienced teammates how it is done. It will be cool and intermittently cloudy through the five days. Unfortunately, there's a bit of rain on the radar too, but one hopes that it doesn't show itself too much. As for the pitch, it is likely to be green and seam-friendly initially, but it will be interesting to see whether it flattens out as the game progresses.